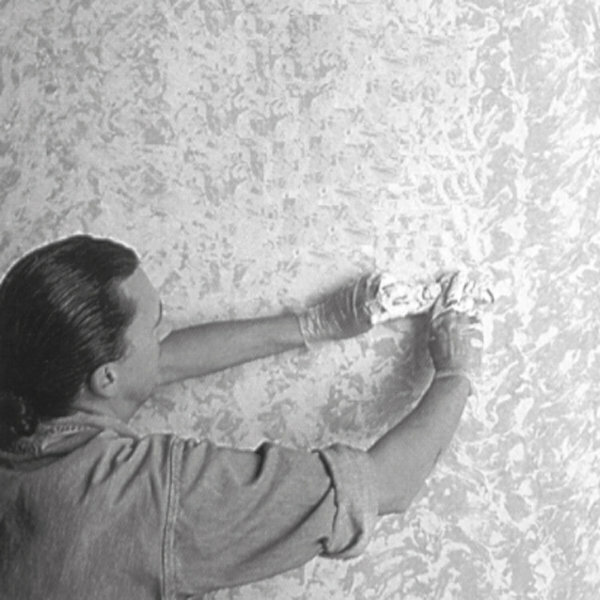 Although not used frequently, there may be call to create paint effects in some jobs. Here is a quick guide to what they are and how to achieve them. - All techniques that involve dabbing can be varied by turning the wrist as you work to create a random pattern. - If brush marks in the glaze interfere with your pattern, break them up by dabbing lightly with a sponge or stipple them out with a stippling brush. - Prevent a build-up of glaze on tools by rinsing or squeezing out regularly. - Wash tools and equipment in soap and water; acrylics are difficult to remove when dry. - High temperature, low humidity and thin applications result in shorter open and drying times. Low temperature, high humidity and heavy applications result in longer open and drying times. - Base coat temperature will affect open and drying times: beware of condensation - this will dramatically extend drying time. - Applying glazes to porous surfaces reduces open times considerably. Different cloths produce different patterns and textures. Paint effects can use simple techniques but achieve a stunning result. Colour washing produces a subtle decorative effect. Dab a damp cloth randomly into the surface of the wet glaze to create areas of darker and lighter shades. 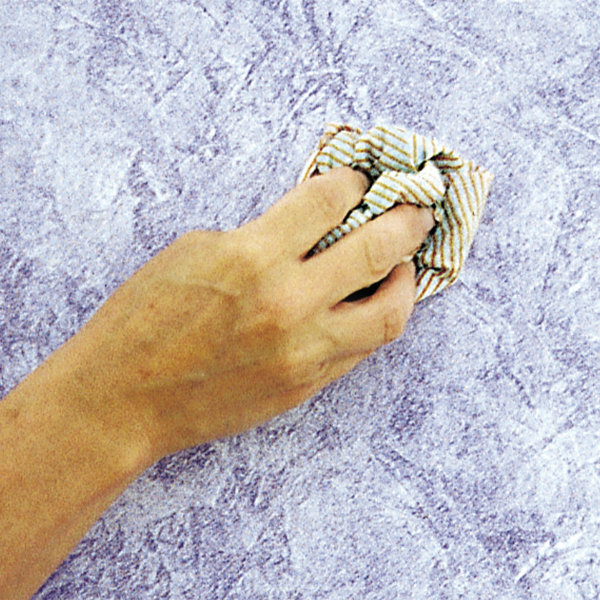 Edges can then be softened by stroking the surface with the tips of a soft brush to produce a cloudy effect. Use a graining comb to form lines on the brushed glaze, crossing the line to form a weave, sweeping the hand to form curves or wavy lines. 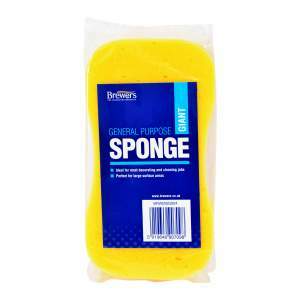 Dab a damp natural sponge over the surface removing the wet glaze to reveal the base coat. Turn the wrist as you work to produce a random pattern. When creating paint effects work in a random pattern. Bunch a damp cloth or rag into a ball to form a crumpled pad and dab into the wet glaze. The texture of the cloth and the way it is gathered will determine the character of the pattern. Ragging is similar to the sponging off process. The most well known of all broken colourwork techniques. Take a flat lint-free cloth and roll it into a sausage shape. 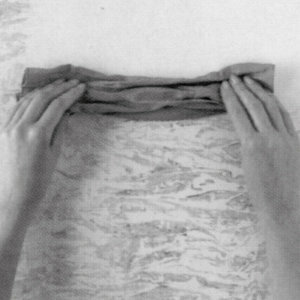 Hold it between the fingertips and starting in one corner, roll the sausage diagonally across the face of the wet glaze. Keep repeating the process, varying the angle to create a random pattern. If any blobs of glaze are left, dab flat with the corner of the cloth. Different cloths produce different patterns. 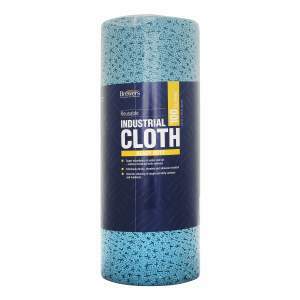 You can also roll with polythene of different thicknesses. Cloths can produce a subtle texture: polythene creates a much sharper pattern. 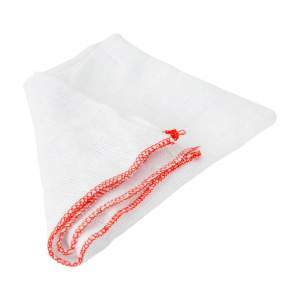 Bunch a polythene bag to form a crumpled pad and dab into the wet glaze. This creates a sharper more dramatic pattern in the glaze, similar to ragging. 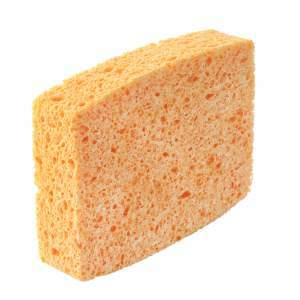 Dab a dampened natural sponge into the glaze, taking care to remove any surplus on the edge of the container. Then dab the sponge lightly onto the base coat, transferring small spots of glaze to create the desired effect. Gently dab the tips of a flat-headed brush into the wet glaze with the brush held at right angles to the surface. 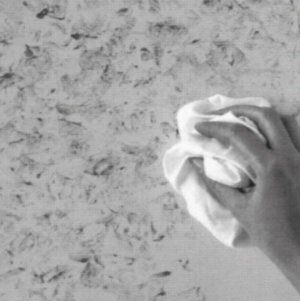 This technique is a useful way to disguise brush marks and leaves a soft, even finish on walls and furniture. Sometimes used as base to create other effects, stippling is also a decorative effect in its own right. Large areas require a stippling brush. Paint effects can be achieved by using a variety of different applicators such as cloths, a sponge and even newspaper. Paint effects can add depth and contrast to any space. The technique produces lines in the glaze surface. Holding the brush handle just above the surface, press the bristle length into the wet glaze and drag straight down to reveal a set of parallel lines. Wipe the brush clean after each stroke. Crumple a sheet of newspaper, open it out and lay it on the surface of the wet glaze. Smooth the paper to leave an imprint but not hard enough to flatten out the creases. Slowly peel back the paper to reveal the pattern. Different materials create different effects, for example cling film produces veins similar to those in marble. For more painting ideas, Brewers News and events join the conversation on Facebook and Twitter.